We are one of the leading organization engaged in providing excellent quality Hard Chrome Fixed Shaft Rolls, which are manufactured by using high grade material. These Hard Chrome Fixed Shaft Rolls are widely appreciated by our clients which are situated all round the nation. High in demand, these Hard Chrome Fixed Shaft Rolls are available at most reasonable prices. We are a leading Supplier & Manufacturer of Shafts & Rods such as Diaphragm Motor Hard Chrome Shafts, Shafts, MS Powder Coating Rods, Suspension Rods and Powder Coated Rods from India. We design Hard Chrome Shafts to meet your specific needs for piston rod material in hydraulic and pneumatic cylinders and other applications. We use advanced techniques of surface removal, polishing and hard chrome plating for manufacturing the above bars . 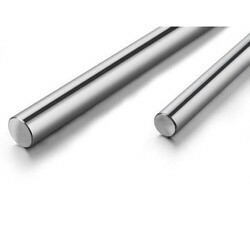 We manufacture hard chrome plated bars which are used as piston rods in hydraulic and pneumatic cylinders and hydraulic stackers. These bars are used as tie bars in blow moulding machines and plastic moulding machines. We are known across India for our surface finish quality. 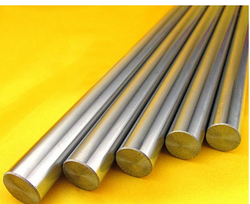 In order to cater the variegated demands of our clients, we are offering an excellent quality range of Hard Chrome Plated Shaft.